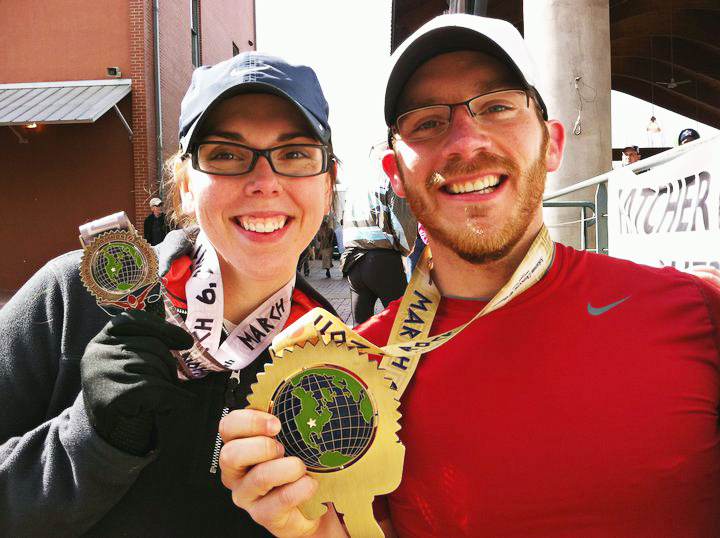 Garver congratulates structural engineer Jason Johnston on completing his first marathon. Jason ran in the Little Rock Marathon on Sunday and finished in 5:14:56. Although running 26.2 miles is a great accomplishment in itself, Jason's achievement has an inspiring subplot. Last September, Jason learned that he had cancer under his tongue. After surgery and a month of recovery, he began training for his first marathon. "I'd already planned to run the Little Rock Half Marathon, but getting mouth cancer out of the blue—I've never used tobacco—definitely got me motivated to run the full," Jason said. Along with his wife, Erin, who ran a half marathon, Jason's run began with a cold 37-degree start Sunday morning. A little more than five hours later, and keeping a 12-minute-mile pace, Jason crossed the finish line with hands raised. Jason hopes to run in the Little Rock Marathon again next year. In the meantime, he plans to run a half marathon every spring and fall.